Trainer Kevin Kemp believes Fighting Teo twill be suited by 2400 metres at Caloundra. Trainer Kevin Kemp has resisted the temptation to again head south with Fighting Teo and instead will test a theory he has about the giant gelding. Fighting Teo scored a last-start win over 2200m at the Gold Coast when he sat four deep for the whole way. The gelding will step up to 2400m for the first time in the Reed Racing Handicap at Caloundra on Saturday. Kemp said there had been an option to head back to Sydney where the gelding ran a close second to Huangshan at Rosehill on July 15. “But I have had a theory for some time that Fighting Teo will be at his best at a mile-and-a-half (2400m) on a big track,” he said. 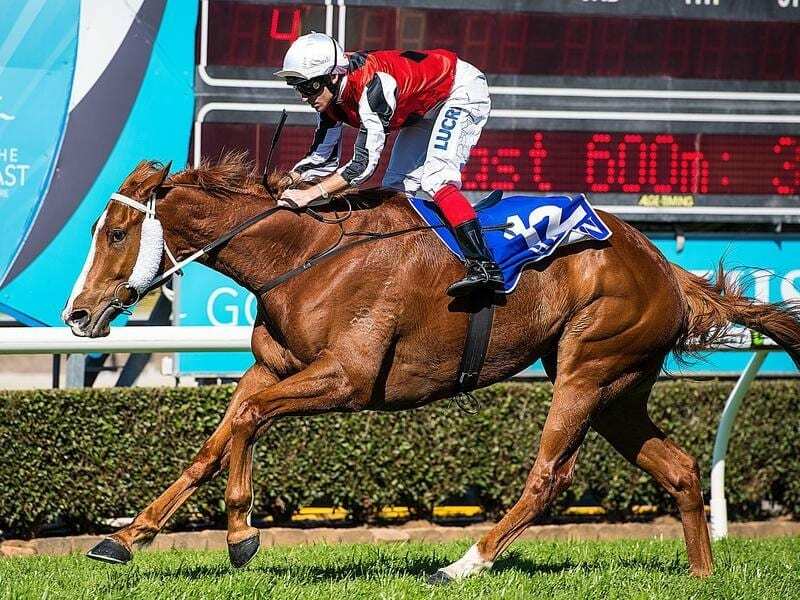 “Unfortunately in Queensland there aren’t many chances to get that combination of big track and 2400 metres. Kemp said the Gold Coast win was good but being caught deep could have actually been a benefit. “He is such a big horse (17.5 hands) being on the fence in the middle of the field might not have been a benefit,” he said.